Nike SB new models are set to release within the skate division’s Spring 2010 Collection. This new batch remains Dunk-centric with a focus around the brand’s most popular model. 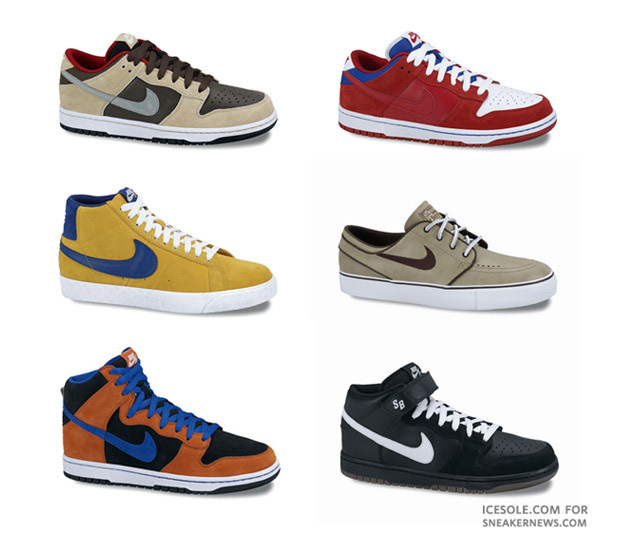 Two dunk lows, a high top, and mid are present, alongside a suede Blazer Hi and Zoom Stefan Janoski.